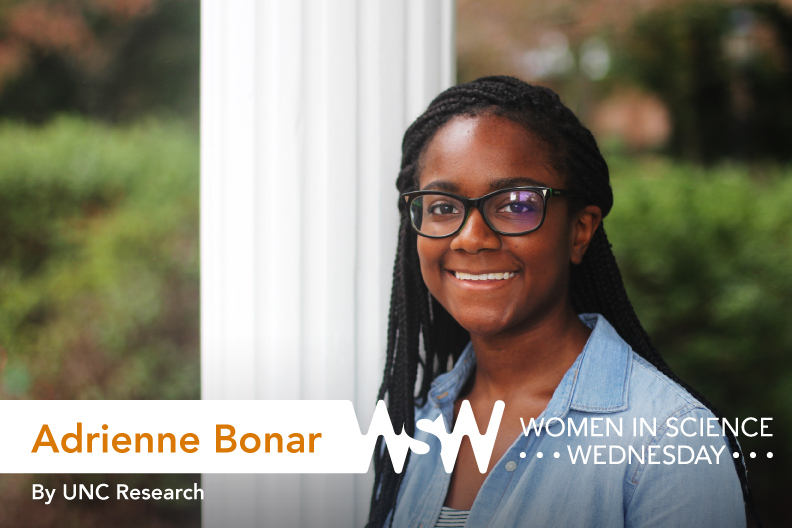 Junior Adrienne Bonar is an undergraduate research assistant at the Carolina Affective Science Lab who is double-majoring in psychology and women’s and gender studies. Her research focuses on how people’s body states and knowledge about emotions shape their emotional experiences. What did you want to be when you were a child? If someone asked you: “What do you want to be when you grow up?” what did you say? How body states shape emotions. My first-year seminar, “Psychology of Emotion,” with Jennifer MacCormack, had a massive impact on my academic career. Jenn expressed that she would be happy to talk to us individually about getting involved in research. So we met for coffee one afternoon and I asked her to walk me through how to contact faculty researchers, step by step. I felt awkward and intimidated by the process, but thanks to the advice she gave me, I made connections and conducted research at the Mindfulness, Body Acceptance, Culture, and Health Lab at UNC Charlotte that summer. Two months after that, Jenn asked me to work on her study in the Carolina Affective Science Lab. What’s a funny story that happened while you were doing research? In our lab, the tests we do involve attaching EKG and cardiac impedance sensors to a participant’s torso. The participant only needs to lift up a small portion of his or her shirt at a time. Because our participant sample is taken from PSYC 101 classes, it’s usually the first time that they have had sensors attached to them. Understandably, some of them are a bit on edge. I have had a few male participants whip their shirts off before I can even finish my script, and they just stand there looking nervous. It’s really hard not to laugh. First, identify women who are where you would like to be and ask them how they got there. Second, be a conscientious observer. I cannot tell you how much of my conversations in women’s and gender studies classes inform the way I approach my psychology research and vice versa. More importantly, there is a lesson in everything. Watch how the professionals around you communicate with each other, how they carry themselves, and how they deal with crises (the big ones and the little ones).